Sometimes you just need a cookie. Sometimes you need two cookies with mocha chocolate cream in the middle, and I happen to have a recipe for that. This buttercream recipe seems to hold up in room temp ( Even in FLORIDA! ), so no need to cool these in the fridge as far as I can see. Not sure about holding up at a summer picnic for 5 hours in full sun, but hey, it’s a vegan victory to survive the kitchen counter without melting. 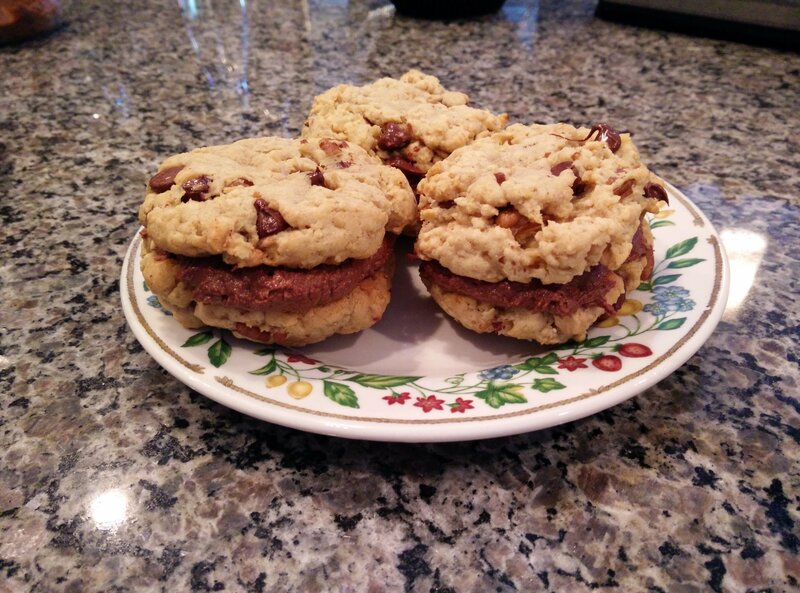 This entry was posted in Recipes and tagged chocolate chip cookies, homevegan, vegan cookie sandwiches, vegan mocha buttercream, vegan snacks, vegetable shortening. 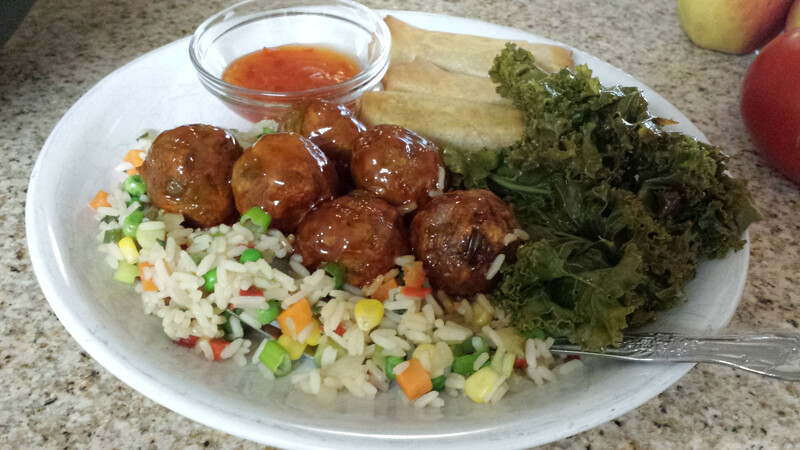 This entry was posted in Recipes and tagged fast, green bell pepper, LightLife Gimme Lean, meat balls, onion, vegan.